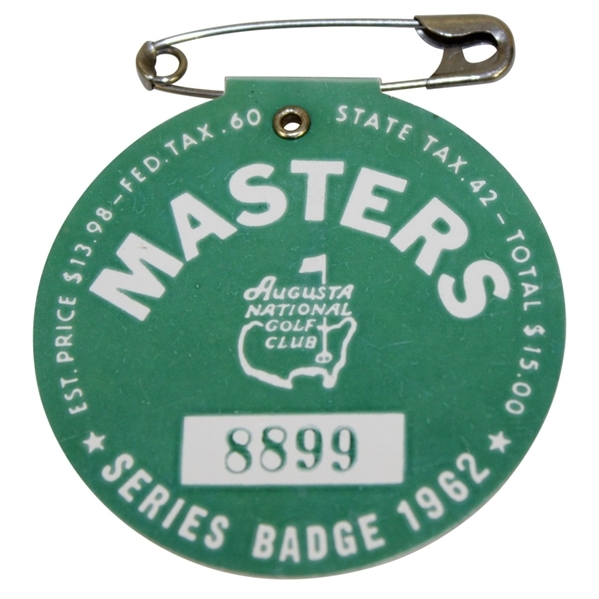 Many collectors consider the 1962 Masters badge, for difficulty, to be the key to the modern day Masters run of badges (1961-current). 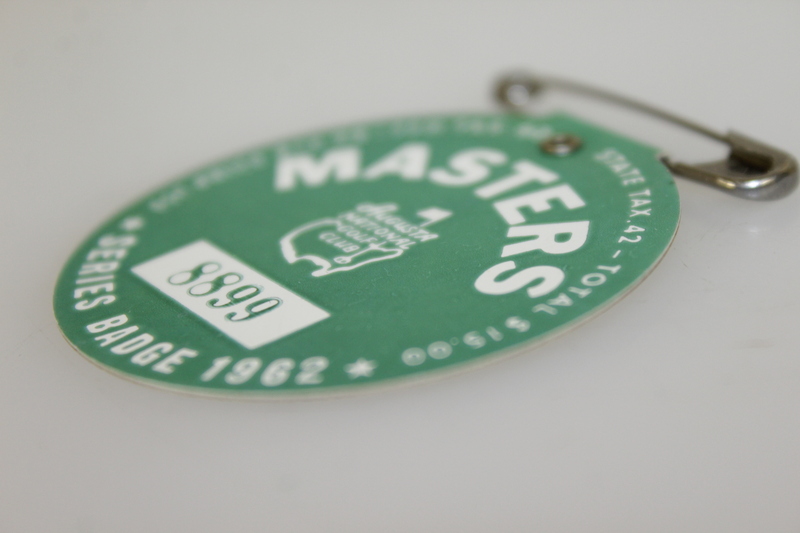 This badge #8899, retains its vibrant Masters green coloring, presenting in excellent condition. 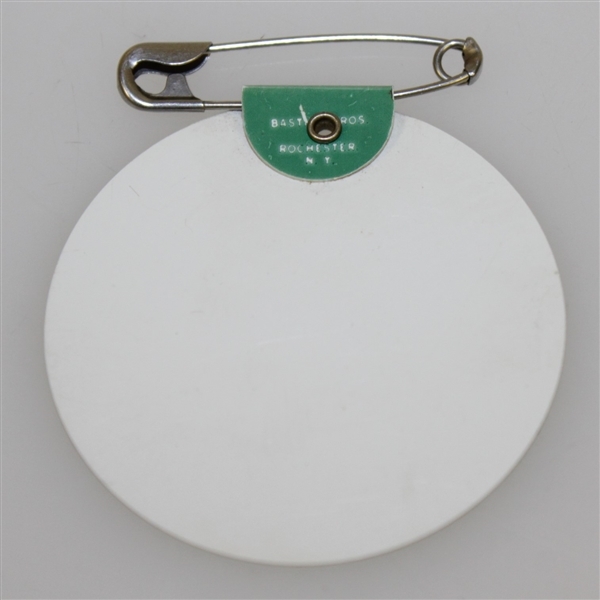 Free from writing on the reverse, or any cracking flaws either minor or major that plague these collectibles. In 1962, Arnold Palmer came out ahead in the first ever Masters 3 way playoff to claim his third Green Jacket. American folk figure, the "King" had his "Army" of followers all throughout Augusta National.